At Snyder & Associates and Shuck-Britson, exciting, meaningful projects are just the beginning. You’ll find forward-thinking, passionate people committed to life-long learning and innovative solutions. You’ll be empowered with opportunities to grow and develop your career. And most importantly, you’ll have the resources and support you need to make a difference. Our team includes over 250 deeply-talented professionals with experience that spans numerous specialties. We take pride in providing integrated consulting services for clients with complex infrastructure and development initiatives. 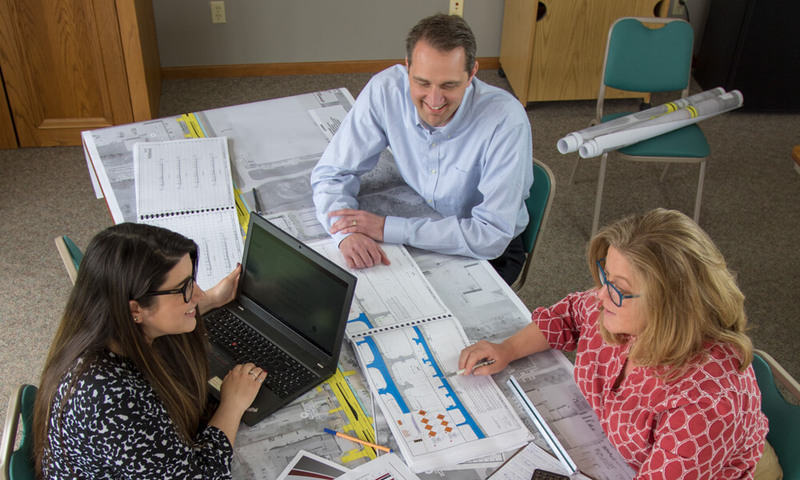 As a member of our team, you will work closely with civil and structural engineers, surveyors, environmental scientists, landscape architects, and other professionals. Employee growth is promoted through diverse projects that inspire creative solutions. A welcoming, family atmosphere provides many opportunities to form lasting friendships. Staff achievements and tenure are celebrated annually, and community engagement is encouraged. Recognizing our ability to positively impact the world around us, you’ll also have opportunities to inspire wonder and bring engineering to life outside of the office. We enjoy our work and value the brilliant team we have alongside us. For current college students, Snyder & Associates is proud to offer a variety of paid summer internship and co-op opportunities, as well as, scholarships for Civil Engineering Technicians attending the DMACC Boone Campus. Career success is just one component of a happy, fulfilling lifestyle and we don’t want you to sweat the details. As a member of our team, you’ll receive a robust benefits package designed to provide peace of mind that you’re looked after and your family is protected. 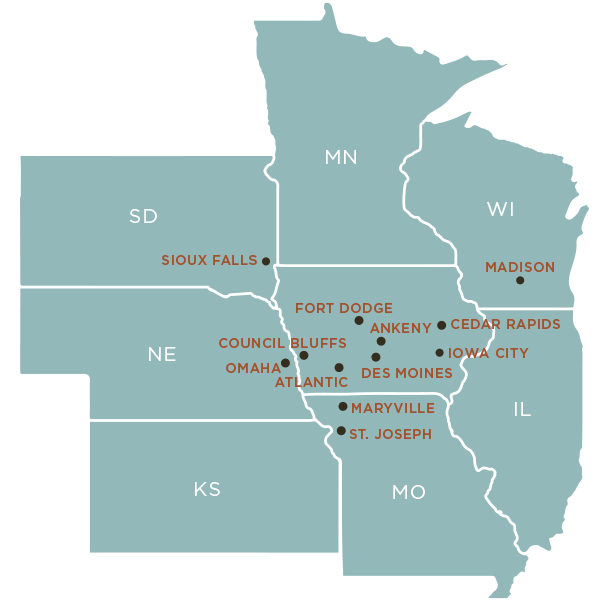 Headquartered in Ankeny, Iowa, Snyder & Associates is licensed in over 15 states with branch offices located across the Midwest. With continual growth, we seek motivated and experienced individuals to join us. Snyder & Associates is an Affirmative Action Employer, providing equal employment opportunities to all employees and applicants for employment without regard to race, color, religion, gender, pregnancy, national origin, age, disability, sexual orientation, status as covered veterans, or any other class status protected by applicable Federal, State, and local laws. Snyder & Associates is an Equal Opportunity Employer, committed to ensuring minorities and women will have equal opportunity for employment. The Director of Human Resources is designated as the Equal Employment Opportunity (EEO)/Affirmative Action Officer. EEO is the provision for all employees and applicants, access to equal employment without regard to race, color, religion, gender, pregnancy, national origin, age, disability, sexual orientation, status as covered veterans, or any other class status protected by applicable Federal, State, and local laws. Snyder & Associates also participates in the U.S. Department of Homeland Security E-Verify program. E-Verify is an internet-based system that compares information entered by an employer from an employee’s Form I-9, Employment Eligibility Verification, to records available to the U.S. Department of Homeland Security and the Social Security Administration to confirm employment eligibility.